Flynn's Wreckers is an enormous wrecking yard just outside Cooma in southern NSW. Back in the 1990s, I bought some VW stuff from Wayne, who runs the place established by his dad in the 1950s. In the years since I’ve spent at least half-a-dozen days wandering around the rows of old cars, many dating back to the 1930s, 40s and 50s, just for fun. And I’m not the only one! These days Flynn’s is an internationally recognised destination for car enthusiasts. You’re almost as likely to find a European or American tourist wandering around with a camera and a smile as you are an Aussie car enthusiast looking for parts for a resto. Anyhow, after working hard at Summernats in Canberra with Street Machine magazine last summer, I gave myself a day off and drove to Cooma and paid the $10 entry fee for a relaxing afternoon of wandering around the rows of classic Kingswoods, Falcons, Valiants, P76s, Crowns and Dattos. It was while down the back of Flynn’s – in fact, the very last row – that I made an awesome discovery! 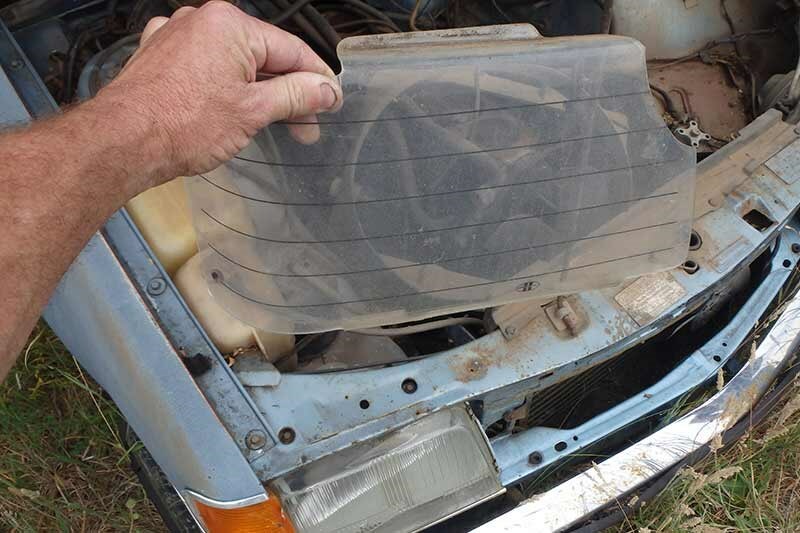 Casually poking around, I lifted the bonnet of an early Commodore wagon to be greeted by a headless six-cylinder engine with an old Aunger headlight cover sitting on top. 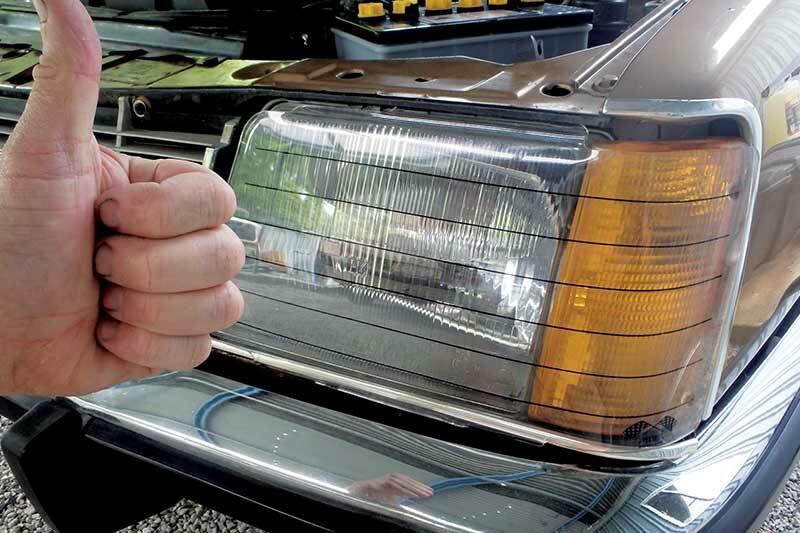 I picked-up the headlight cover and thought how great it would be to find a good-condition set at a wreckers or a garage sale to put on my ‘new’ brown 1979 VB Commodore SL wagon. The one I was holding was damaged, so I tossed it back into the engine bay, closed the bonnet and wandered along the side of the wagon, cupping my hand against the back-door window for a look inside. And just seconds later I found these new ones in the back seat of the very same car. Astonishing! What I saw astonished me! Sitting amongst bits of other junk on the back seat of the Commodore wreck was an old black cardboard box with a faded label… Metrix Headlight Shields. 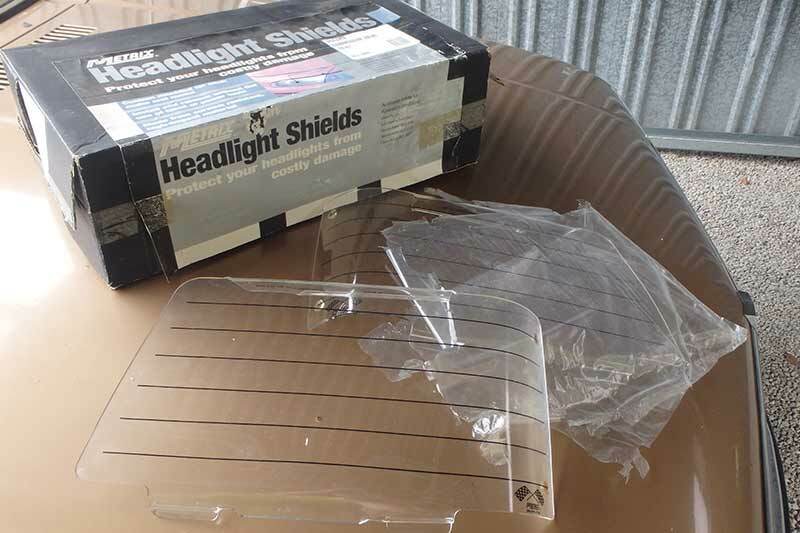 Poking out of the box – the packing tape had long ago lost its adhesion – was a dusty pair of headlight covers, lying on the now-perished remains of the original plastic wrapping. 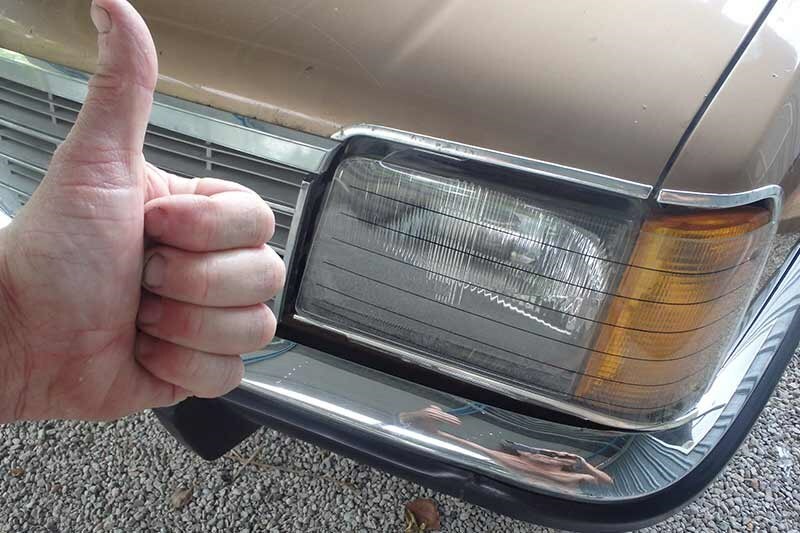 Both left doors of the wagon were locked so I ran around the other side to claim my prize: Two brand-new, never-used, unblemished, new-old-stock, in-the-box, Made-In-Australia, Metrix headlight shields! 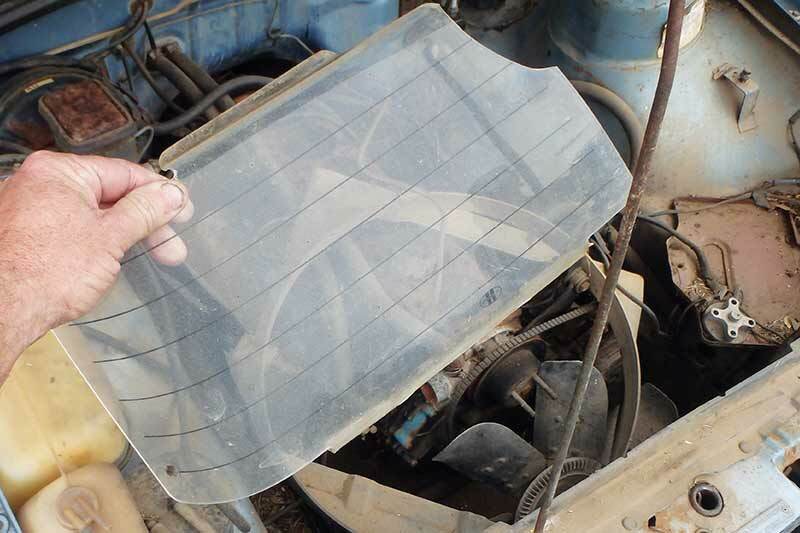 Being brand-new, the covers required nothing more than a wipe before being installed on my 1979 VB Commodore wagon. Glenn Torrens Likes This! Okay, so finding two plastic headlight covers in an old Commodore isn’t quite the same as finding a forgotten Ferrari in your grandparents’ garage, but the sequence of events that day – my finding one headlight cover in an engine bay and then finding a brand-new boxed set in the very same car – is almost too freaky to believe!